Are you trying to find a Yard Ramp or a loading dock ramp? Will your requirement for loading be best served by utilizing a Forklift Ramp or a Steel Yard Ramp? Imagine what? These are all the same piece of equipment. The main difference is whether the ramp you are looking at has wheels or not. 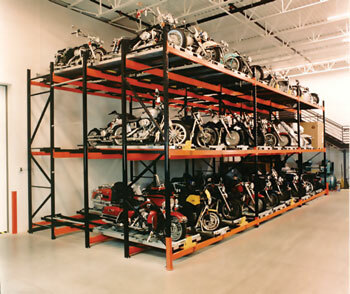 Yard Ramps are generally made either with wheels or without wheels. Those are not typically added in the after market. If you see an advertisement for a Portable Yard Ramp or Mobile Yard Ramps this only specifies that the model you are looking at has wheels versus no wheels which are also called the "undercarriage." 1) Does it have to be portable? In case you plan on loading and unloading vans or shipping containers it requires to be portable or mobile. It must have the wheels. If you're putting the ramp on your own dock to get your forklift, pallet servers or hand trucks from the dock down to ground level, the crucial question is, "How often will you've got to transfer it? If the reply is once or twice per month, then you certainly can get by with the dock-to-earth assortment that does not comprise the wheels and will save you about $1,000. Just be sure you have a way to transfer it. These ramps weight from 4,000-6,000 lbs. So you necessitate a forklift together with the proper lifting accessories to pick up and/or place the ramp properly. 2) Steel or Aluminum? Most customers will buy steel. In case you are concerned about the ramp's appearance or long-term condition (as in 10 or more years), you might want to go with aluminum. You will pay more money . However, it will not have the rust condition that can develop over time using a steel yard ramp. These ramps are created to be outside so even with some rust over several years, you should not have to be concerned about the structural integrity of your ramp. Additionally, aluminum ramps will weigh somewhat less than a steel ramp along with the capacity of your forklift may come into play in terms of whether you can handle a steel yard ramp vs. an aluminum yard ramp. 3) Straight Ramp or Level Off? In case you are loading vans or shipping containers you need a) wheels to move it around, b) you need the amount off so that your forklift can get the forks down to be able to get the freight in the rear of the van. In the event you make use of a straight ramp with wheels to load vans, you'll have to move the ramp to access the back of the trailer. This makes loading and unloading a two step procedure. The shorter length of a straight ramp will save you money . However, it will cost you a bit of time in this instance. Amount off areas on a ramp are usually 6 feet to 8 feet in length. 4) How long? Yard Ramps commonly come in two lengths, though you are able to order a custom layout to fit your program when it comes to length, width and capacity. Straight Ramps without the level off are 30 feet long. Ramps with the level off are 36 feet long - which includes 30 feet of straight ramp and 6 feet of level away. Some customers are space challenged and also would like a shorter ramp. The crucial issue here is grade. In case you make an effort to get a shorter ramp you may likely run into level issues with your forklift. In the event the grade is too steep you may engage the forklift automatic shut off controls. So do the mathematics, consult with your forklift manufacturer and determine in case your desired length will let you function with a safe grade and within the limits of your forklift's functional abilities. Back to what's in a name? You have heard the old saying, "A rose by any other name continues to be a rose." Well, when shopping for a ramp, you may strike a number of names all referring to essentially the same piece of gear: Dock Ramp, Steel Yard Ramp, Forklift Ramp, Portable or Mobile Yard Ramps. It's the same matter. Your job would be to discover what type and what other accessories you may require like railings, forklift loop or tow bar (to move it), rubber or pneumatic tires, hydraulic pump, etc.